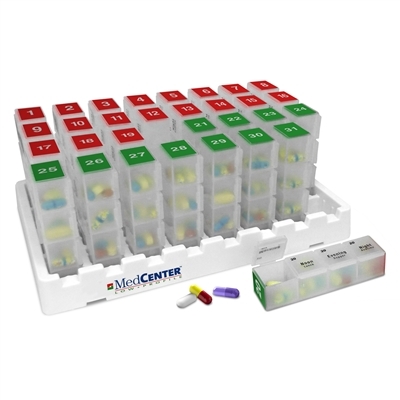 The MedCenter Low Profile Organizer allows you to organize a full month’s worth of medication or vitamins at a time. 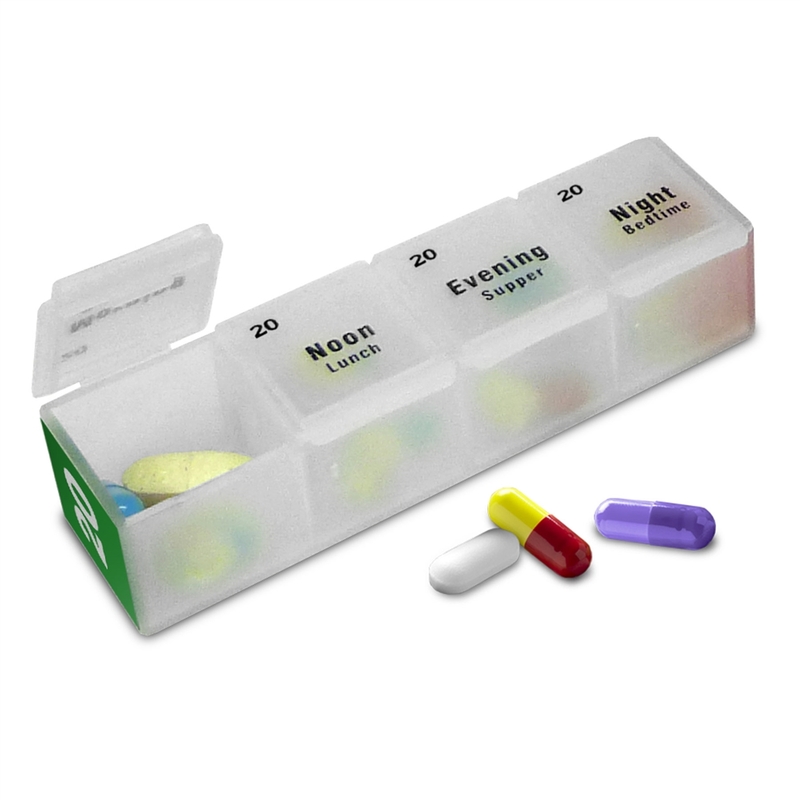 The Low Profile features thirty-one individual pill boxes that can be removed and taken with you as needed or remain with the low profile stand for ease of convenience. Pair the Low Profile with the MedCenter Talking Clock and you have a complete monthly medication organizer and reminder system.